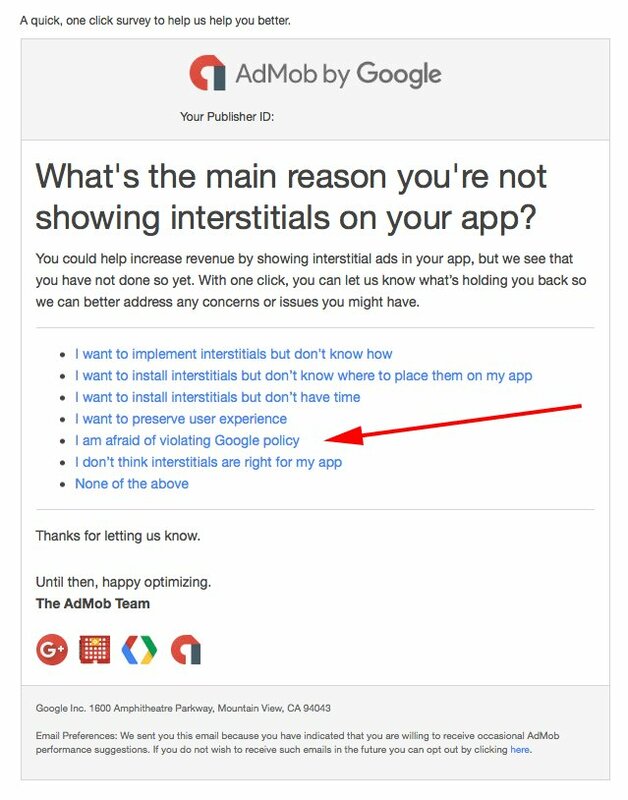 I received an email the other day from AdMob, the company Google acquired that powers ads within native mobile apps. The email asked me why am I not using interstitials in my apps. It then gave me several answers that I could choose from, one being "I am afraid of violating Google policy." 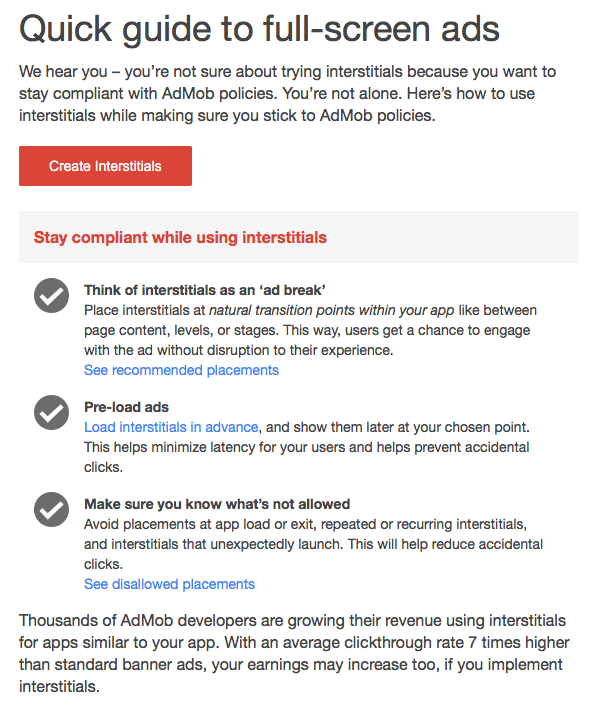 So I clicked on that response to see what happens and a few hours later, I received another email that was about how to "stay compliant while using interstitials." 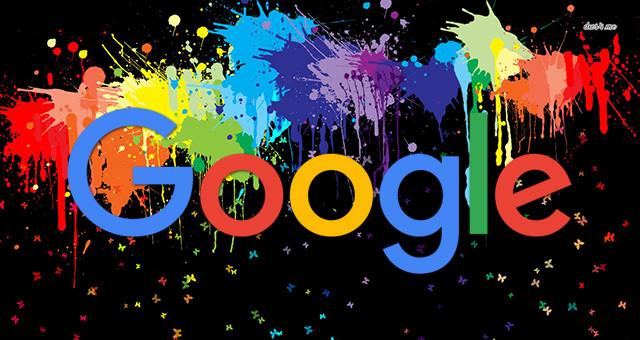 The mess Google creates for itself. Funny - don't you think?